I first set foot in Pembrokeshire aged about seven or eight in 1950 or 1951, I cannot remember exactly which year it was, but I went with my Grandfather, Percy Winchurch. 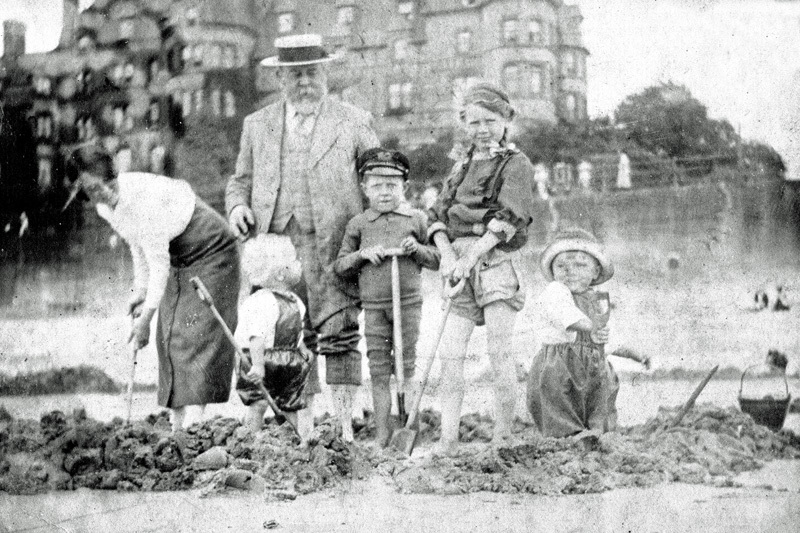 Percy, who with his brother Roland, had built up a very successful motor business,Winchurch Brothers Limited, in the West Midlands, was planning partial retirement to Saundersfoot. He had bought a small caravan ( a Berkeley Messenger ) which he proposed to site on a field belonging to Mrs Howells at Dun Cow Hill at Wisemans Bridge, grandmother of TTT member Sue Griffiths who is still a good friend – many decades later ! I travelled with him that summer to stay as Bed and Breakfast guests of Mr and Mrs Watts next to one of the entrances to Hean Castle Estate between Wisemans Bridge and Saundersfoot.. The emerging business plan was that Percy would sell his share of Winchurch Brothers and buy out or go into partnership with Vic Morris, proprietor of St Brides Garage in Saundersfoot. As a child, I knew little or nothing of the detail, but viewed the beaches, the rock pools and the sea with growing delight. My father, Vic Winchurch was to be involved in a new venture building small boats to meet the demands of a growing leisure activity and carry the family forward into the second half of the twentieth century. With characteristic drive and commitment, Percy sited his small caravan to act as a base in Pembrokeshire whilst preparations for a permanent move were under way. My Grandfather suffered a massive stroke on 12 September 1953 and died within few hours, ironically, (in the year of the Queen’s Coronation) in the Queen Elizabeth Hospital in Selly Oak. I will never forget the shock and sorrow on my father’s face when he came to my bedroom that night, with tears in his eyes, to tell me the news. Suddenly and unexpectedly, my parents faced major decisions with long term implications for us all. I passed my eleven plus examination the following year, 1954, and spent a few weeks at King Edward VI Grammar School in Stourbridge before transferring to Greenhill Grammar School in Tenby in November 1954. David moved from Hagley primary school to the Council school in Tenby, then, in turn passed his eleven plus to join me at Greenhill three years later. I felt very conspicuous in my dark green Stourbridge blazer and cap and was very relieved when it was replaced a few weeks later by the blue Greenhill uniform. Vic had made the decision to go ahead with the move to Pembrokeshire, but the motor trade was dropped in favour of the boat building venture. The new company was to be known as ‘Saundersfoot Marine Company Ltd’. We moved to Greengate, St John’s Hill, Tenby on the 9th of November 1954. Vic and Margaret (my mother) bought the house from the Dale family, who had recently opened a music shop in the High Street. Two days after we arrived, Tenby was hit by a tremendous storm, which caused massive damage along the whole of the west side of Britain. A few months later, a large section of the North Cliff collapsed, crushing a shelter on the North Walk below and killing two young people. Our neighbour, Crofton John, who was a foreman with the town council, dug out the bodies of Beth Daniels and her friend. Beth had also lived in St John’s Hill and was only twenty one. The form master of Class 1 Alpha in 1954-55 was Ken Lee, who also taught Maths,Geography and English in later years. I still remember the warm greeting I received from both Ken and my thirty or so new classmates, many of whom became friends. It was for me a huge relief to be in a relaxed co educational atmosphere after the stricter and more formal regime at the boys only school that I had left, (although, to be fair, I was only at Stourbridge for a few weeks). Graham Gibson was the headmaster in 1954 and Margaret Bowen the headmistress. Maggie (as she was almost universally known) became one of my favourite teachers. I never found her particularly stern, although she was certainly strict, but she had a lively sense of humour and a warmth to which I responded. I think in that first year though I was taught French by Stefano Court before he moved across Greenhill Road to the Council School to succeed Ossie Morgan as headmaster there. Other teachers from that first year were the characterful H.J. Williams (John Willie) who taught science and the rather more serious Yorkshireman, Wilfred Harrison, who I think we had for ‘Social Science’ – a mix of local history and geography. Interestingly, in view of later trends, we were given a choice of modern languages between French and Welsh. The majority of my year had chosen French and it was much later in my life that I learned the smattering of the Welsh language that I carried into adult life. We could however mostly sing ‘Mae hen wlad fy nhadau’ as enthusiastically as the rest! 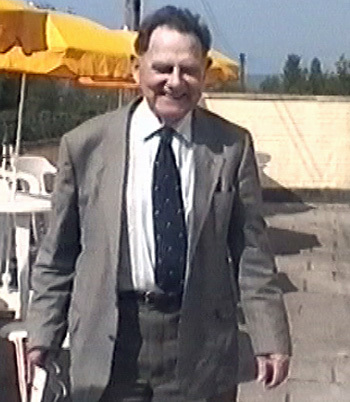 As I progressed through the school in the mid 1950s I was taught by two more exceptional teachers, Arthur Richards for Physics and William (Bill) Davies for maths. Both had a knack of holding one’s interest and encouraging thought and I retain an enormous respect for both of them . Bill Davies had been a Major in the British Army ( possibly the Royal Engineers ) in the fight against the Japanese in Burma. He had occasional periods of absence due to sickness, recurrent bouts of Malaria a legacy of those appalling conditions. I was delighted to find that he was still alive and present at a Greenhill Grammar School reunion organised by John Griffiths in the late 1990s. It was a privilege and pleasure to shake Bill by the hand and thank him for the years of dedicated teaching he undertook. October 1955 Back row L – R Wilfred Harrison, Bill Davies, Arthur Richards, L.J. Williams, Alan Nicholas, J.A.Jones . T.K. Edmonds, Ken Lee. Middle row : Heinz (Hugh) Holland, Colin Boilieau, Philip Nunn, John Winchurch, Geoffrey Titterton, ?, Brian Rees Front row: Michael Edwards, Kenneth James ? ? Geoffrey Torkington. Vic’s involvement with Saundersfoot Marine was, sadly, not a great success. However, it did provide both David and myself a grounding in boat craft and general woodworking skills that we carried forward into later life. We were encouraged to both build and sail boats. We joined Tenby Sea Cadets and had the harbour and town as our playground. Despite the hardships, we were the lucky children of the nineteen fifties. In 1956 Vic made his exit from Saundersfoot Marine and in the absence of a suitable job in Pembrokeshire, made a move to get work in the Midlands. Margaret, David and I stayed in Tenby, with Vic adding the long drive to and from the Midlands to Tenby to his weekly total – often several thousand miles. My Dad accepted his new situation without bitterness or rancour and I never heard him complain. He even managed to teach me to drive and pass my driving test in Haverfordwest in 1960. At the age of twelve I joined Tenby Sea Cadets, an organisation with links to the Royal Navy which encouraged an interest in everything to do with the sea and ships. The commanding officer was Freddie Bennet Roberts with George Philpin Stubbs as his deputy. Under their guidance we learned everything from knots to drill and rifle shooting, although the latter had to be done courtesy of the Territorial Army in the Norton. I went on several extended periods on Royal Navy warships too, notably two weeks on HMS Hogue based at Devonport. I was just thiteen then and spent most of the time being homesick or seasick – often both ! Tenby Sea Cadets met on Tuesday and Thursday evenings in the Sea Cadet building, at that time single story, alongside the sluice, with a break for hot Oxo drinks followed by lessons on knots, navigation, in fact everything to do with naval life, in a house on the slope leading down to the quay. It was often bitterly cold in the middle of winter and I remember sliding on ice covering the surface of Crackwell Street one January night. After GCE O levels in 1959, I entered form six science at Greenhill to study Pure and Applied Maths, Physics and Chemistry at A level. In addition to Bill Davies for maths and Arthur Richards for physics, I was taught by Bill Howells for applied maths and Mr Coates for Chemistry, although he left suddenly in my final year and the remainder of the time until the exam I was taught by the headmaster, Graham Gibson. There were only two of us from Greenhill who took the A level Chemistry exam in 1961 and Rosamund Smith and I had to travel to Bush Grammar School at Pembroke to take the practical exam. A notable addition to the teaching staff at Greenhill was Denzil Thomas, former Welsh Rugby cap who joined the school as sports and games master in 1958. Denzil could be a hard task master, but he was also kind and encouraging and even managed to light a spark on enthusiasm in me for Rugby. I was saddened to hear of his death in 2014 after a life which hit the heights, but also had episodes of deep tragedy. Graham Gibson shook me by the hand and wished me well as I left the ‘Old Greenhill’ in July 1961. It was the end of an era, since the next school year opened at the much larger comprehensive school in Heywood Lane. The last official photo at the old Greenhill – 1959 with John, third row down, eighth from right. David, top row, sixth from right Many familiar faces for tagging – feel free ! In a sense, I was the last pupil there, being the final alphabetical surname on the register of those who had travelled the journey from first year to upper sixth form. Sadly, Graham Gibson had only a few years at the new school, before his sudden death in 1964. I obtained sufficiently high grades at A level in 1961 to gain entry to University College Cardiff, from where I graduated with a B.Sc. in Electrical Engineering in 1964. My years in Tenby were some of the happiest of my life and distant links with the town have continued right up to the present time. The creation of the Facebook page ‘Tenby through time’ has been an invaluable addition for those of us with fond memories and links to ‘Our school by the Silvery Sea’ and my grateful thanks go to Niki Favorido, Katrina Lidster and the many others who have made this possible. Over twenty years ago, my late father, Francis Victor Winchurch, an experienced Family Historian, was struggling to solve the mystery of just who Thomas Plucknett was. Stories of the Plucknetts of Thorverton had been told through the generations. 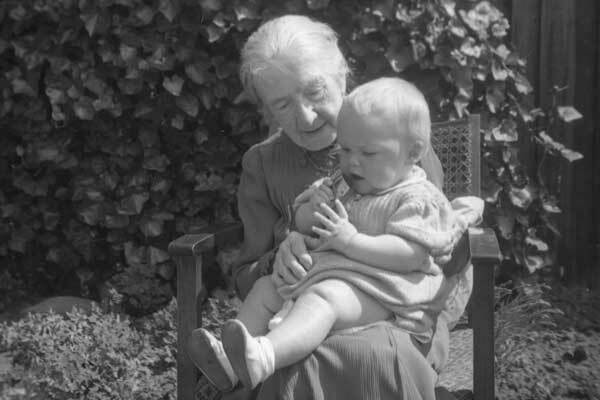 I have a treasured photograph of my great grandmother Alice PLUCKNETT Sternberg holding me as a toddler. Alice was then almost ninety and her middle name carried Plucknetts to my generation and beyond. I still have her wooden travelling trunk, carefully restored by my brother some years ago, with the intials “A.P.S.” on its lid. There is little doubt about the validity of the family line back from Alice, who was born in Bristol in 1856, the daughter of Elizabeth (nee Plucknett) Sternberg. Elizabeth Plucknett was born in Exeter in 1829, the eldest daughter of Thomas Loaring Plucknett, baker of Thorverton. Thomas Loaring Plucknett was the eldest son of Thomas Plucknett, born (according to the 1851 census) in Great Torrington. Thomas had a successful life in Thorverton. After joining the Royal Marines at the age of (about) fifteen in Plymouth in 1795, he became a drummer and was discharged (unfit) in 1802. Thomas Plucknett, recruited into the Royal Marines on 22 June 1795 aged 15. Occupation- Labourer, Complexion – Fair, Eyes – Hazel, Hair – Dark brown. Discharged – Deemed unfit – 10 May 1802. Thomas married Elizabeth Loaring (notice the continuity of Christian names) on 18 August 1800 and the couple settled in Thorverton, where the Loarings had lived for two generations. Thomas was landlord of the Bell Inn in Thorverton and also a pig dealer. In addition he was active in both the Nonconformist and Anglican churches at various times and held property in the village. There is, I understand, on the wall of the Exeter Inn, Thorverton, a list of the sittings allocated to parishioners in 1840. Thos Plucknett senior is listed as a pig dealer, while Thos Plucknett junior was a baker. Their families shared Pew No 41. He died at the age of seventy eight in 1860 and is buried in Thorverton churchyard. His gravestone gives his date of death as 1 February 1860 and age at death as 75, although his death certificate , says 78. The latter is more likely. This leads us to the “tricky bit”. 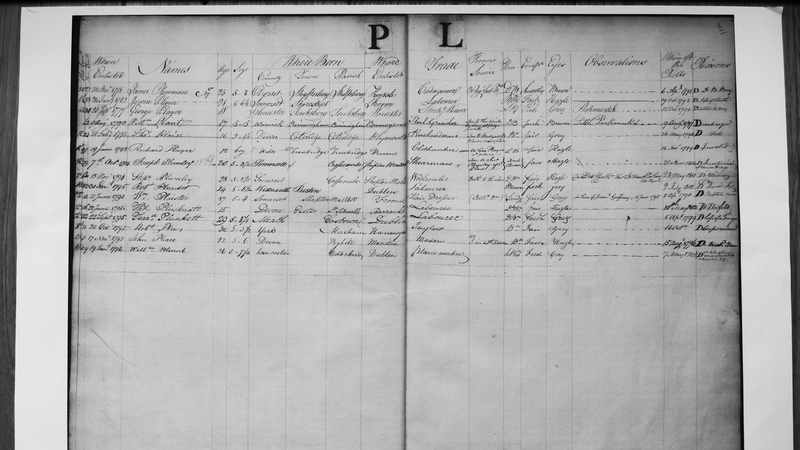 The only Thomas Plucknett birth record that fits, is an entry in Exeter St Sidwells for 24 February 1781 recording the birth of Thomas Plucknett BASE BORN (my capitals and emphasis) son of Margaret Plucknett. That is it – no hint where Margaret was from and, of course no indication of the father’s name. This birth occurred, of course, several decades before civil registration and birth certificates. The next logical step for any family historian is to search parish records for a Margaret Plucknett who might fit in terms of age and proximity to Exeter. There is really only one obvious candidate and that was and is Margaret Plucknett, then aged about thirty and from Great Torrington. My father and several other researchers noted this but discrepancies were soon obvious and the puzzle has, as far a I am aware, been left unsolved for the past twenty years. A quick look at the archives reveals that there have been and still are Plucknetts in and around Great Torrington since about 1600. This is including records from Black Torrington, Sheepwash, Shebbear, Bideford, Ilfracombe, as well as Great Torrington itself. At this point I should acknowledge the comparative ease of doing genealogical research from the comfort of one’s own laptop, with increasingly comprehensive transcriptions and, more satisfyingly images, of parish and other records. I doubt that I would have had the patience to piece together this story if it had involved journeys to distant registry offices. Starting with supposition that Thomas’s belief that he was born in Great Torrington was correct, I looked firstly for a Thomas Plucknett born or baptised around 1778 to 1782. Thomas was unlikely to have been born after that and been accepted into the Royal Marines in 1795, although you never know ! Add to this the Anglican Marriage of Richard Plucknett (father) and Margaret Perkin at Great Torrington on 19 Apr 1775 and the likelihood of this Margaret Plucknett being Thomas’s mother begins to recede. Richard and Margaret also had a daughter, another Margaret Plucknett, born three years previously in 1778. It might be this Margaret who gave birth to Robert Plucknet ‘base born’ in Bideford in 1793. Tragedy struck this family in several ways during the next few years. In 1787 Margaret died. Her record confirms that her husband was Richard and still alive, but worse was to come. Richard senior was convicted of the theft of oak planks at Exeter Assizes in 1791 and sentenced to transportation to Australia for fourteen years. He arrived in New South Wales in 1792, but I have failed to find any further news about him. I can only assume that he died in Australia. One online family tree gives his death date as 1794, but the Richard who died that year was sadly his son, Richard Plucknutt Junr (sic) at the age of thirteen. There seems to be no Margaret Plucknett around in 1780 – 81 who is likely to have been the mother of Thomas. BUT, I found a reference online to a burial of Margaret Plucknett in 1833 in Great Torrington at the age of 81, so born around 1751. A good fit. I have yet to find a Margaret Plucknet (ett) (ott) (utt) and variations, either married or unmarried who fits the bill. Grace was the first, and it appears only child of Thomas Plucknett and Mary Rawleigh. They had married seven months before on 1 June 1750 in Great Torrington, when Thomas was twenty. Mary Plucknett was buried on 17 September 1751 when her daughter, Grace, was only eight months old. So Grace Plucknett was herself ‘conceived out of wedlock’ and probably only too aware of the stigma attached to that tag two hundred and thirty years ago. I believe that Grace travelled from Great Torrington to Exeter for the birth of Thomas. She may have been helped by members of her late mother’s family, the Rawleighs, of whom there were several at that time in both Great Torrington and Exeter. If you read this account it points out that the second Alan de Plugenet died in 1319 without issue. It would seem likely that Plucknetts in more recent centuries were named after their village of origin, rather than because they were descendants of the Norman barons, as some have suggested. 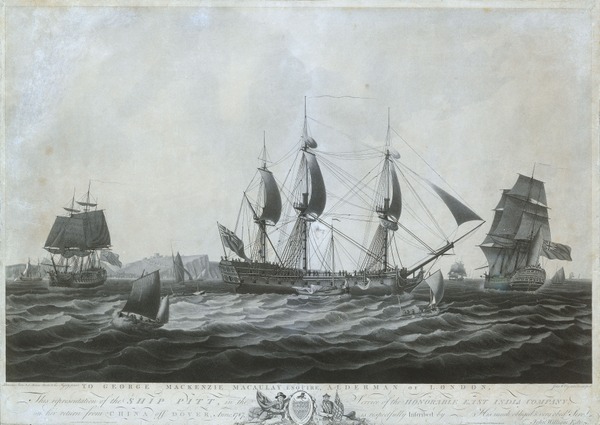 Richard Plucknett is listed amongst the convicts who left Yarmouth Roads, Norfolk, in June 1791 on the East India Company ship Pitt He arrived in New South Wales in 1792. What became of him in Australia remains a mystery. Francis Victor Winchurch, (known for most of his life as ‘Vic’), was born on 5 February 1914 at 12, Waterloo Road, Smethwick Birmingham. 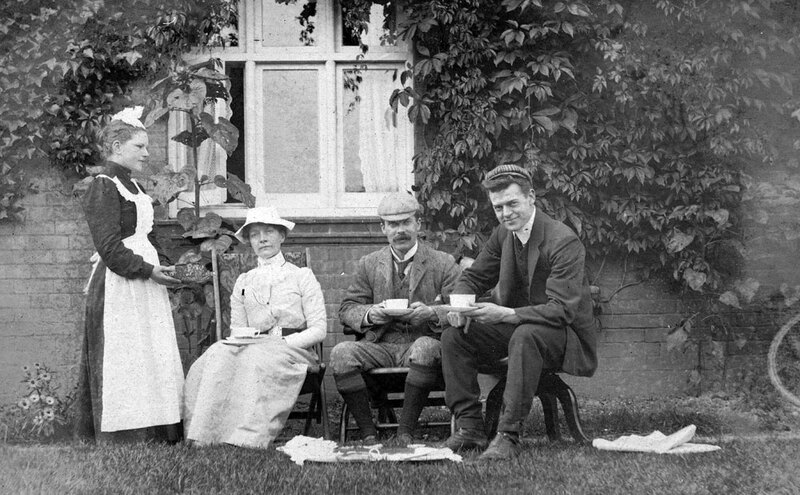 Pictured here with Marion in the garden of Pargeter Road, as the horror that became the First World War began in the summer of 1914. He was the first child of Percy Walter Winchurch, an established garage proprietor and Marion (nee Brown), who had owned her own millinery business in Birmingham. The family lived in Pargeter Road in Smethwick, within walking distance of what Marion always referred to as ‘the Place’ – Winchurch Brothers Motors, in Sandon Road. The business had been established in 1905, by Percy and Roland, his younger brother, in Ladypool Road, Moseley and moved to new premises in Bearwood around 1912. By the time Vic was born, the business was thriving and both Percy and Roland seem to have prospered during the war years. One episode of note is that Percy appeared at Kings Heath Police Court on 21 November 1916 charged with ‘not obscuring headlights’ on 29 October 1916, for which he was fined 10 shillings. This was, of course at the height of the Great War, but how much real risk ‘not obscuring headlights’ caused is a matter of speculation ! I do not recall which school Vic attended up to the age of eleven but from that age he was educated at King Edward the Sixth Grammar School, Five Ways, Birmingham. He was not happy with his primary education, which I do know was in the private rather than state sector. This experience was, at least partly, the reason behind both my brother David and myself being entirely state educated. Winchurch Brothers Limited played an important role in all our lives, especially my father’s. 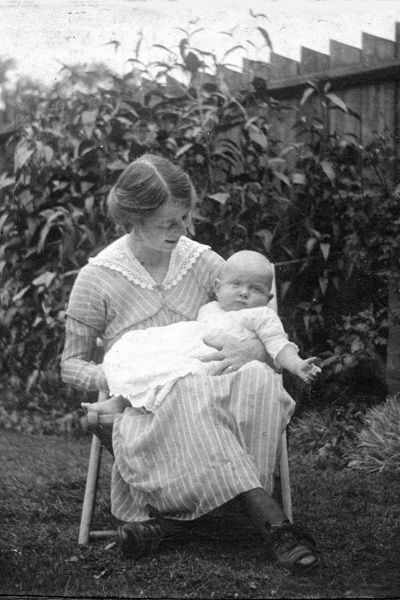 Vic’s sister Jeanne Marion Winchurch arrived in the world in 1919, the year after the armistice and became an adored member of the family from the beginning. 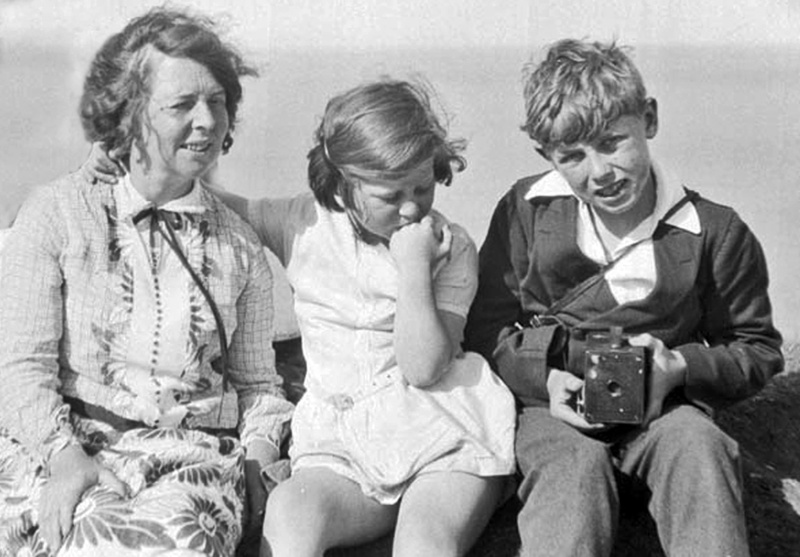 Here she is with Vic and their mother around 1925 at Torquay, when Jeanne was seven and Vic twelve. 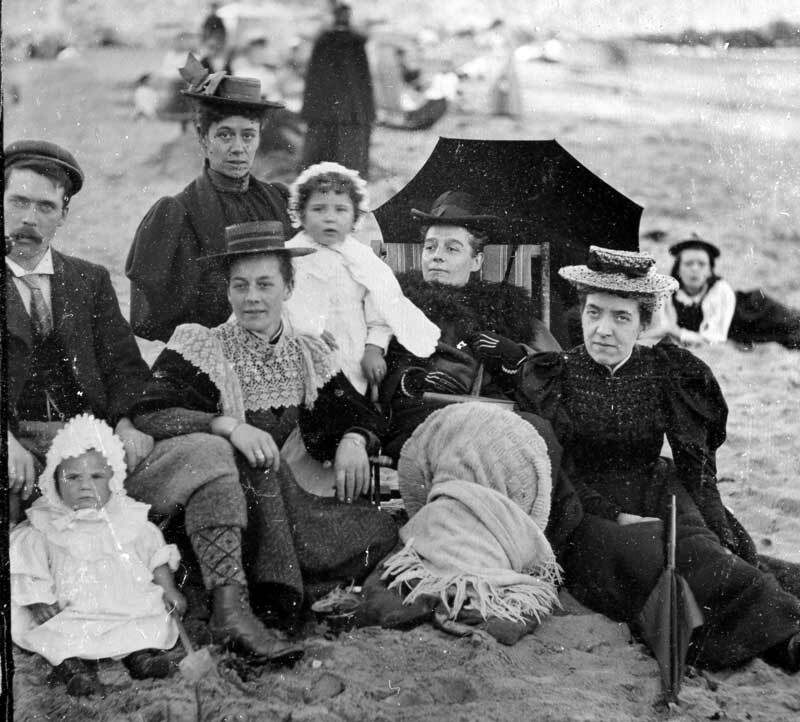 In the nineteen twenties and thirties Percy, Marion, Vic and Jeanne, often accompanied by Marion’s mother, Alice Brown, travelled frequently to Devon and Cornwall. Vic became a keen photographer, developing and printing his own photographs. This is the inscription in album made for his grandmother Alice in 1931, mostly containing photos from a previous summer’s visit to Cornwall. Vic left school at sixteen, in 1930 and trained as a Weights and Measures Inspector (now known as a Trading Standards Officer) with Smethwick Borough Council. I know from conversations with him in later life that his heart was never in that job. He had inherited a love of music, particularly musicals and opera from Marion’s side of the family and perhaps something closer to that interest would have suited him better. A fairly chilling remark, which was not refuted in Percy’s reply. His growing interest in music led to the beginnings of a record collection, first seventy eights, then vinyl and lastly CDs and DVDs towards the end of his life. In 1935 he became the proud owner of a Marconi Radiogram, a twenty first birthday present from Percy and Marion. This had a rather chequered life in terms of reliability, but played no small part in my own future interest in sound reproduction and electronics, not to mention music and opera. Vic also bought book and record cabinets made by Minty of Oxford. I still have some of these, along with the cabinet from the Radiogram, but, alas the working parts from the latter were scrapped many years ago ! Undoubtedly, one of the additional attractions of record browsing was the fact that the local music shop in Smethwick belonged to the Woodhouse family. Record sleeves with the Woodhouse name printed on them were common in his collection. Mr and Mrs Woodhouse had three attractive daughters, Mabel, Nina and Dora, plus a son, Ken. That Vic found Nina particularly appealing was frequently alluded to in later years by Margaret, my mother, who also happened to be Nina’s childhood friend from the age of five. One of Vic’s colleagues, also a personal friend, was a young man named Harold Chidlow. Harold seems to have won the race for Nina’s affections, because they were married in 1940. 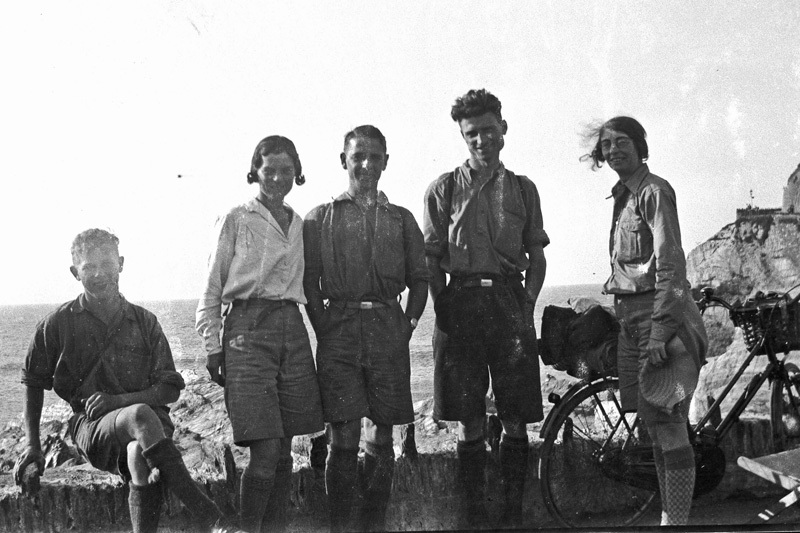 Vic was a keen cyclist and went out on solo and group outings. 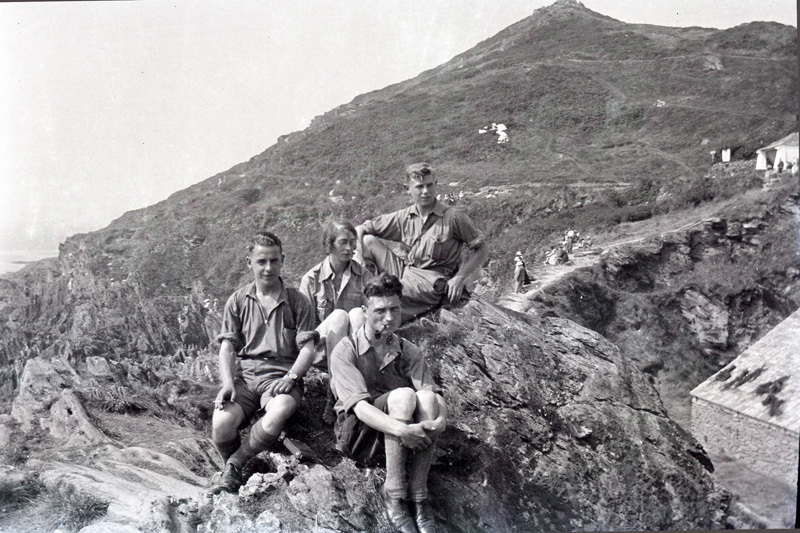 Here he is at Polperro, on a tour of Devon and Cornwall in the early 1930’s. Vic is at the top of the group and I believe his companions were from Smethwick Council, but cannot put names to other faces. Vic on the left with cycling friends in Cornwall. In October 1938 Vic left Smethwick to work in Northallerton as an Additional Inspector of Weights and measures for North Riding of Yorkshire Council. He was there when war broke out in September 1939, but left in December 1940 to move back to his parents’ home. “I resigned voluntarily owing to unsatisfactory service conditions”. Now my father was generally a tolerant, loyal and uncomplaining man, so I can only conclude that things in Northallerton must have been really bad for him to leave and return south without a job! Within two weeks of writing this he was married and had joined the Royal Navy ! 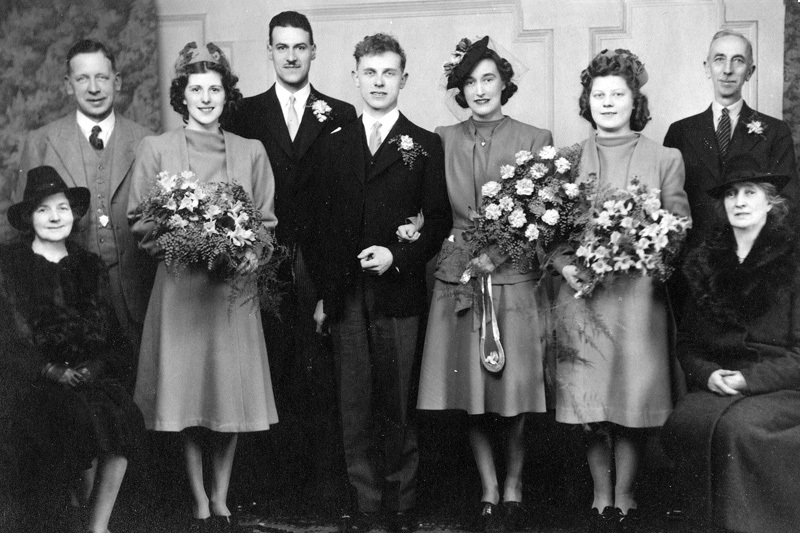 Vic Winchurch married Margaret Downing, who worked as a typist for the engineering firm Bellis and Morcom in Birmingham on 8 February 1941. I think that it is fair to say that up to this point in his life Vic had had a fairly privileged and easy life. He bought a motor boat in the late 1930s which was moored on the River Severn at Stourport, but seems to have lost interest and abandoned it. His next experience of life afloat was very much harder and character forming though. Vic quickly gravitated to the newly developed technology known as Radar. He became a Radar Petty Officer by the end of the Second World War , serving on, amongst others, a converted merchant ship, HMS Maplin and the battle ship HMS Valiant on convoy duties to South Africa. One of his best friends and a colleague at Smethwick, Den Brotheridge, was the first Allied serviceman to die in the D day landings. In the middle of that war, on 27 September 1942, I was born in South Road Smethwick, the elder of Vic and Margaret’s two sons. David followed shortly after Vic was ‘demobbed’, born on 13 December 1946 in Handsworth. Vic had, of course, seen very little of me during the first three years of my life and my memory is that he was hesitant and had trouble dealing with a young son. For my part, I had undoubtedly grown up surrounded by adoring grandparents, who to a large extent had taken over the role of my father. Taking into account the hardships and deprivations of the war and post war years, I was probably a difficult and rather spoilt child. I think the immediate post war period was extremely difficult for both Vic and Margaret. Perhaps despite Percy’s misgivings, Vic was given various jobs at Winchurch Brothers. I remember him mostly serving petrol and acting as storeman. He certainly didn’t take on any managerial role as far as I am aware. We moved into a house in Handsworth in 1946, in Thornhill Road, to be precise. Number 97 had been owned by a Miss Allday with whom my mother had worked, appropriately enough at Margaret Street Library in the centre of Birmingham. Unusually for the location and time, the house had central heating, a gravity system powered by a coke guzzling stove in the kitchen. It also had a strange electricity supply, It was a DC (Direct Current) system which survived in parts of Birmingham into the post war years. 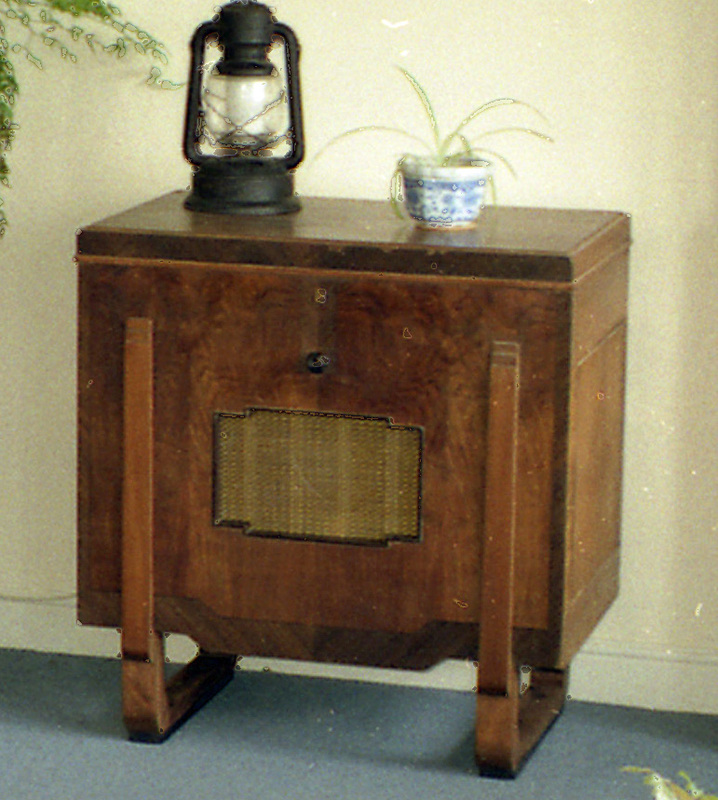 It meant that many household appliances, including the treasured radiogram, could not be used at Thornhill Road. In the summer of 1949 Jeanne took her own life, after discovering that Peter, the former German prisoner of war who she had met and planned to marry, had secretly married another girl in Germany . 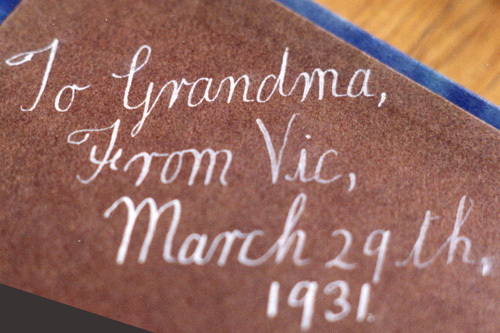 This devastating event had repercussions for the whole of Vic’s family for many years to come. Very soon afterwards the decision was made to leave Handsworth. Margaret hated the house and the area, so it was with a feeling of relief all round that we moved twelve miles out of Birmingham to West Hagley in Worcestershire in the summer of 1950. Vic commuted to and from work at Winchurch Motors using the company van, painted in bright green livery. I remember travelling with Dad along the ‘Hagley Mile’ dual carriageway that dropped the A456 from the plateau upon which Birmingham was built to the lower, softer fields to the west. On one particular occasion, when I was a passenger, he persuaded the Austin A40 van to hit the dizzy speed of sixty miles per hour ! Percy was now making plans for at least a partial retirement. I believe that previous ideas of a move to Devon, or more likely Cornwall, were abandoned because of so many poignant memories of holidays there with Jeanne. Percy turned to another county that he had visited briefly with Marion, just before the war began in 1939. 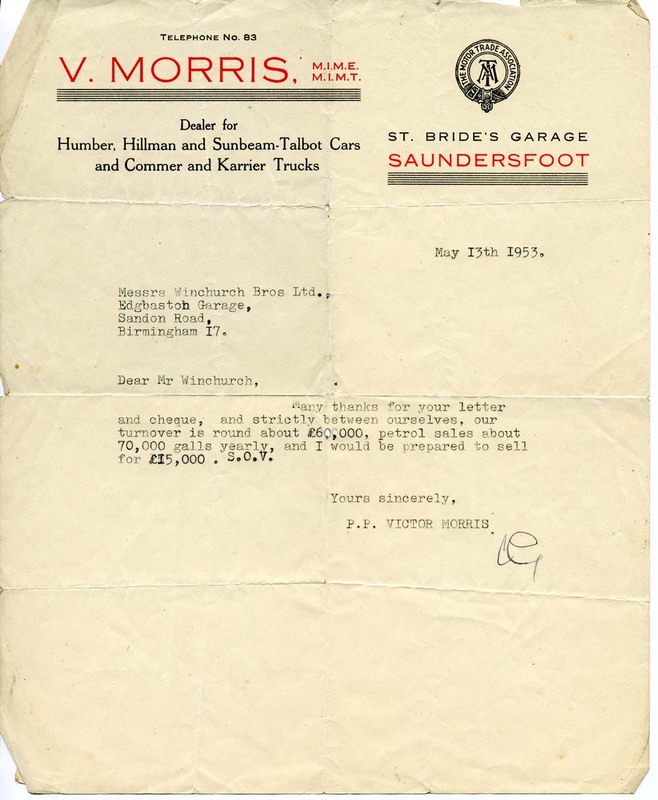 The emerging plan in 1950 was that Percy would sell his share of Winchurch Brothers and buy out or go into partnership with Vic Morris proprietor of St Brides Garage in Saundersfoot. Vic was to be involved in a new venture building small boats to meet the demands of a growing leisure activity and carry the family forward into the second half of the twentieth century. With characteristic drive and commitment, Percy bought a small caravan to act as a base in Pembrokeshire whilst preparations for a permanent move were under way. Percy Winchurch suffered a massive stroke and died within few hours, ironically, in the Queen Elizabeth Hospital in Selly Oak. Suddenly and unexpectedly, Vic faced major decisions with long term implications for us all. I passed my eleven plus examination the following year and spent a few weeks at King Edward VI Grammar School in Stourbridge before transferring to Greenhill Grammar School in Tenby in November 1954. David moved from Hagley primary school to the Council school in Tenby, then, in turn passed his eleven plus to join me at Greenhill. Vic had made the decision to go ahead with the move to Pembrokeshire, but the motor trade was dropped in favour of the boat building venture. The new company was known as ‘Saundersfoot Marine Company Ltd’. We moved to Greengate, St John’s Hill, Tenby on the ninth of November 1954. Vic and Margaret bought the house from the Dale family, who had a music shop in the High Street and whose son Laurie still operates the business. Two days after we arrived, Tenby was hit by a tremendous storm, which caused huge damage along the whole of the west side of Britain. A few months later a large section of the North Cliff collapsed, crushing a shelter on the North Walk below and killing two young people. Our neighbour, Crofton John, who was a foreman with the town council, dug out the body of Beth Daniels, who had also lived in St John’s Hill. She was only twenty one. Vic’s involvement with Saundersfoot Marine was, sadly, not a great success. However, it did provide both David and myself a grounding in boatcraft and general woodworking skills that we carried forward into later life. We were encouraged to both build and sail boats. We joined Tenby Sea Cadets and had the harbour and town as our playground. Despite the hardships, we were the lucky children of the nineteen fifties. In 1956 Vic made his exit from Saundersfoot Marine and made a move to get work delivering new cars from the Austin factory at Longbridge. Margaret, David and I stayed in Tenby until 1961, with Vic adding the long drive to and from the Midlands to Tenby to his weekly total – often several thousand miles. He accepted his new situation without bitterness or rancour and I never heard him complain. 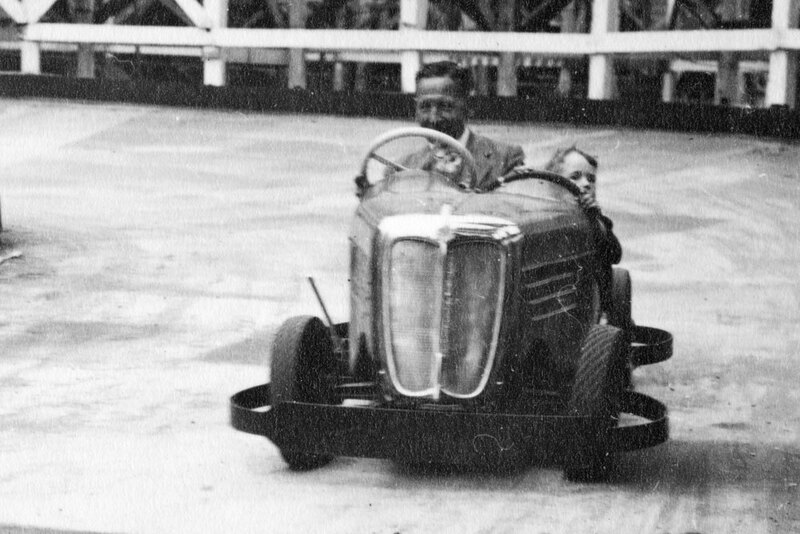 Dad even managed to teach me to drive and pass my driving test in 1960. During this time he found a new passion in his life, family history. Starting with the Winchurch family bible he delved back into the nineteenth century, then the eighteenth and ultimately as far into the past as the fifteenth century with the male line. He then branched out onto other lines and produced much of the material that eventually found its way onto this website. He joined Birmingham and Midland Society for Genealogy and Heraldry, rising in its administration to Vice President and received the honour of being granted Fellowship of the Royal Genealogical Society. His regular trips to London facilitated visits to Somerset House and the other archive institutions located in the capital. 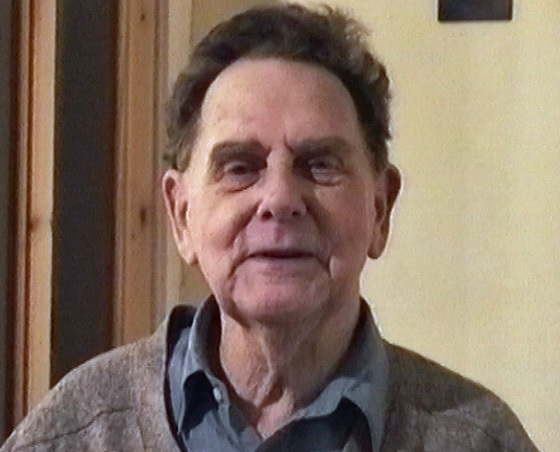 Vic retired in 1976,when he was sixty two and he, Margaret and his mother Marion moved to Ledbury in Herefordshire. His trips to London were now more organised, being free from the constraints of work and he drove there well into his eighties. His sons and grandchildren were now scattered as far as Cumbria, but he relished the journeys to visit and take part in family life. This was in spite of increasing problems with the health of Marion ( who died in 1982), Margaret, whom he lost in 1993 and himself. Towards the end of his life, Vic was receiving treatment for prostate and later bone cancer. He quite happily travelled to the Royal Marsden Hospital for pioneering treatment, Despite this, he flew unaccompanied to Australia for a Family History conference and stayed with Helen and Malcolm Swaine, distant cousins and genealogy correspondents. He was generous and uncomplaining to the last and I still miss his interest and companionship. Ann was my great great grandmother, born in Dudley in 1793, died in Aston, Birmingham in 1875. Thomas Winchurch married Ann Shakespeare at Tipton on 25 March 1820. He was 33, she was 27. Both of them had been married before, since Thomas appears in the register as widr, Ann as widw. Burial 18 Aug 1816 – Lucy Shakespear, Dudley. 2 yrs. He goes on to say that he has been unable to locate the marriage of Joseph and Ann. So, who was Ann and when and where did she marry Joseph Shakespeare ? Could this be my great great grandmother at the age of nineteen? My first reaction was one of dismissal, since Clent is even now a small village about eight miles from Dudley, where Ann was born (she listed Dudley as her birthplace in several census returns) and a similar distance from Netherton and Rowley Regis. It took me some time to solve the mystery and provide a reasonably convincing argument for the marriage being the one for which both I and my father before me had been searching. It seems that until the early nineteenth century, Rowley Regis church was a chapel of ease belonging to the parish of Clent. The distance between the two (some six miles) gave rise to much inconvenience, particularly with the growth in the population of Rowley. They were separated by a Private Act of Parliament in 1841. Until that time, the Vicar at Clent frequently insisted that Rowley parishioners went to St Leonard’s church at Clent for a marriage rather than going to Rowley himself to perform the service. Particularly during the incumbency of the Rev. Lyttelton Perry (1780 to 1817) a great number of Rowley people travelled to Clent to be married, presumably because the vicar preferred that couples should come to him at Clent than he should journey to Rowley. However, in 1841 an Act of Parliament was obtained severing Rowley Regis from Clent and creating it into a separate parish. The preamble to the Act states that the vicarage of Clent was six miles from Rowley and that while Clent was an agricultural parish with a population of 900, Rowley Regis was a mining district with a population of 10,000. The marriage of Ann Brook and Joseph Shakespeare on 24 November 1812 was towards the end of the period when Lyttelton Perry was Vicar of Clent. Perry, it seems, was not popular with many of his parishioners. Many entries in the Parish Registers were missing during his incumbency. Thankfully, some of these were retrieved from the copies known as the ‘Bishop’s transcripts’ held in Worcester. He followed his father John Perry as vicar of St Leonards from 1780-1817 and appears to have been particularly keen to improve his image for although he was baptised Littleton and used this spelling in his early years at Clent, he subsequently changed the spelling to Lyttelton, perhaps to create an impression of a connection with the Lyttelton family of Hagley Hall close by. Hardly a man of the people ! entry 531: Joseph Shakespeare otpo Rowley Regis and Ann Brook ots 9,16. 23 Dec 1810. A marriage after the calling of banns must be solemnized within three months of the last occasion on which banns were called. This would have put their earliest wedding date at 24 December 1810. It seems that it did not happen. One can only guess at the reason. Having to travel twelve miles on foot in the middle of winter might be a likely explanation. In view of Ann’s age (seventeen) there might equally have been family opposition. They were married two days after the last calling on Tuesday 24 November 1812. Joseph Shakespeare (signed Shakespear) ba, otp with Rowly Regis and Ann Brook (signed Brooks) wid, ots, by banns. Wit: Phoebe (X) Craddock, Louisa Perry. These last entries raise a few interesting points. I have not seen the originals, nor indeed photo copies, but am relying on the CD ROM transcripts produced by the Staffordshire Parish Registers Society. These contain more detail that the basic information on the Mormon website. In particular the fact that both Joseph and Ann are recorded as having signed their names rather than making a mark as many did in the Clent registers. It is also puzzling that Ann Brook (who I believe was just nineteen in 1812) is recorded as a widow, whereas the same Ann Brook (presumably) was not thus recorded in 1810. The most likely explanation is the notoriously variability of Lyttelton Perry’s register entries. It does seem highly unlikely that seventeen year old Ann Brooks had become nineteen year old Ann Brooks (widow) within the space of two years. Ann and Joseph’s daughter Lucy was christened at St Thomas, Dudley in February 1815 when Ann was still only twenty one. The fact this and subsequent parish register entries are in Dudley and not Rowley (or Clent) perhaps gives credence to the idea that there had been family opposition to their marriage. This may have been the reason for the lack of a marriage ceremony following the calling of banns in 1810. There seems to be no further reference to Joseph or Ann in Clent Parish after 1812. “Nail making was a well-established trade in the Black Country; at its peak around 1820 there were over 50,000 nailers at work in the area. Principle centres were Sedgley, Gornal, the Lye, Halesowen, Oldhill and Dudley. It was essentially a cottage industry, the nailers worked for middlemen known as ‘foggers’, or as outworkers for larger firms. A brief note here about Ann’s possible origins. It is brief because these thin threads are all I have ! Ann (Nancy) Brooks was christened at St Thomas, Dudley on 25 Aug 1793, the daughter of John and Sarah Brooks. This is the only baptism entry for Dudley that fits with Ann’s birthplace and year. John and Sarah might be the John Brookes and Sarah Troman who married in Halesowen on 9 January 1793. Thomas Winchurch and Ann Shakespear may have known one another before 1819. It seems to be too much of a coincidence that Thomas’s first cousin, George Winchurch married Fanny Brookes within a year of and in the same church in Tipton as Thomas Winchurch and Ann (Brooks). Admittedly Fanny was born in Madeley Wood, Shropshire and Ann in Dudley, but the populations of the coal and iron areas of the Black country and the industrial centre of Ironbridge and surroundings appear to have been very fluid in terms of movement. Both had links with Abraham Darby (and successors) for example, who was born near Dudley and died at Madeley. Transport between the two would have been relatively easy (for the time) via the River Severn. I am also disregarding the difference between ‘Brookes’ and ‘Brooks’ as being typical variants. My suspicion is that Ann and Fanny were cousins, possibly first cousins like Thomas and George Winchurch. There is a further coincidence in that George and Fanny called their youngest daughter ‘Lucy’, the name of Ann’s dead child. In any event Thomas Winchurch and Ann Shakespear were married in Tipton on 25 March 1820. It is likely that nine year old Sarah Winchurch, Thomas’s daughter from his first marriage was present because she seems to have been close to her father and stepmother throughout their lives. Interestingly, both Thomas and Ann made ‘marks’ rather than signing the marriage register. This may, however, have been the result of the curate John Howells either assuming that his parishioners could not sign their names or making the entries this way for speed. On 20 June 1820 Hannah Winchurch daughter of Thomas and Ann was christened at St Thomas Dudley. (Note that there was less than three months between those two events ). Sadly, Hannah was the second of Ann’s daughters to die as a toddler. Sometime between June 1820 and December 1821, Thomas and Ann had moved to Birmingham, to Love Lane in Aston to be precise, which was the home at which their next five children were born. Thomas was a glass blower, like his father, Paul and glass making was spreading eastwards from Dudley to Birmingham. In all probability they travelled on a barge on the newly constructed canal system between the Black Country and Birmingham. The same means of transport also helped Birmingham and particularly Aston to grow into a busy centre of industry and technology away from the basics of mining and forging that had nurtured Dudley and it surroundings for centuries. Aston was the ‘Silicon Valley’ of the early nineteenth century. Metalworking of all kinds flourished in the town. Artefacts made in Aston included buckles for shoes, blades, pins, nails, screws, bolts and buttons. Some craftsmen made brass fittings such as handles for coffins. There were also many gunsmiths, leather workers and some locksmiths. 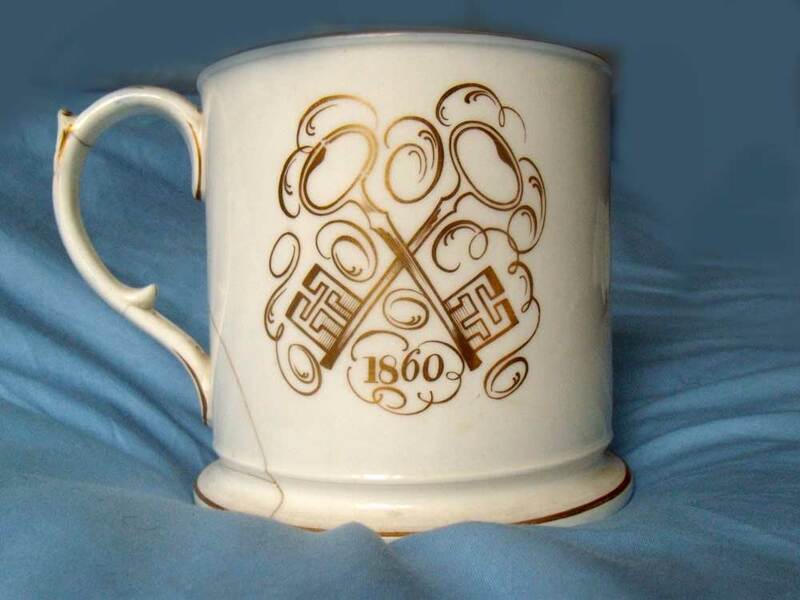 In the late 18th century glass making boomed in Stourbridge, Brierley Hill, Birmingham and Aston and continued in those areas well into the twentieth century. BUT that last entry is from the bishop’s transcripts and has to be wrong. Benjamin (my great grandfather) was born on 3 December 1829 (so the date fits for his christening) and the first William was still alive. So, all the ages are approximately right. 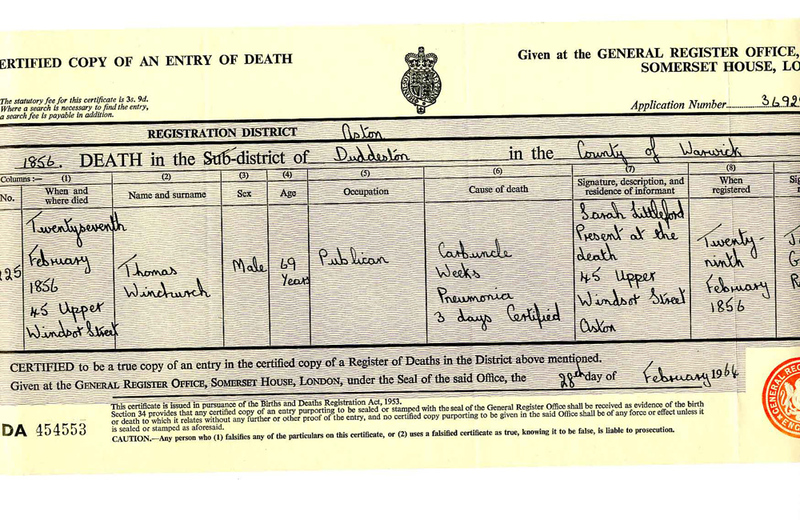 Ann senior’s date of birth as entered in documents such as censuses varied a lot through her lifetime but tellingly finished as eighty two on her death certificate in 1875, where her cause of death is listed as ‘old age’. This finally confirms her year of birth in Dudley as 1793. Notice that the ‘second’ William has become Benjamin, aged 11 in 1841, which agrees with Benjamin’s birth date of 3 December 1829. 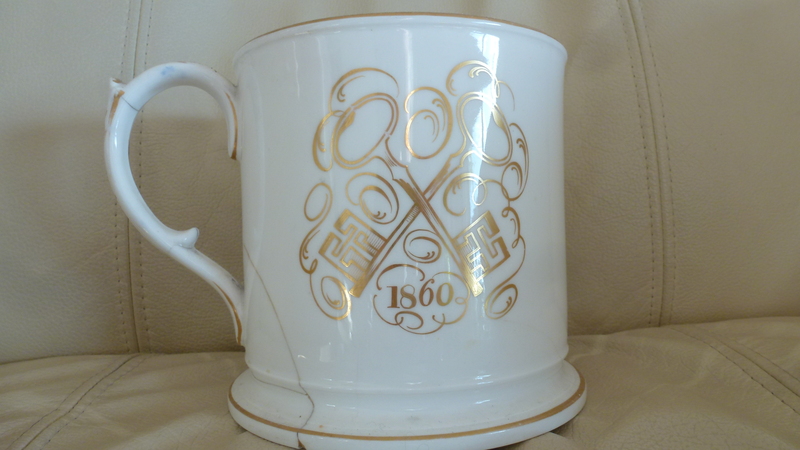 Benjamin had his own personalised tankard with his name and the Cross Keys logo engraved on it. By the time of the 1871 census, Ann was living with her daughter, also named Ann, who had married William John Hicken in 1865 when she was forty. Notice that she is still registered as a Licensed Victualler, but by this time a new landlord had taken over the Cross Keys. It is possible that ownership was still in the hands of the Winchurch family, but I have no evidence either way. Ann died of ‘old age’ Ladywood Birmingham on 19 April 1875, aged 82 – confirming her year of birth as 1793. Her daughter Ann Hicken was present at her death. Ann and Thomas had at least sixteen grandchildren, one of whom was Percy Walter Winchurch, my grandfather. Percy often spoke of his Black Country roots. I believe that Ann Brooks was an important influence on the Winchurch family in terms of survival and prosperity. Two hundred years after her long walks to and from Netherton to Clent ‘in the bleak midwinter’, I salute her memory. Benjamin Winchurch was my great grandfather. He was born at 3, Lord Street Birmingham on 3 December 1829, married Ellen Eliza Tester in London in 1862 and died at 120, King Edwards Road, Birmingham on 7 April 1891. 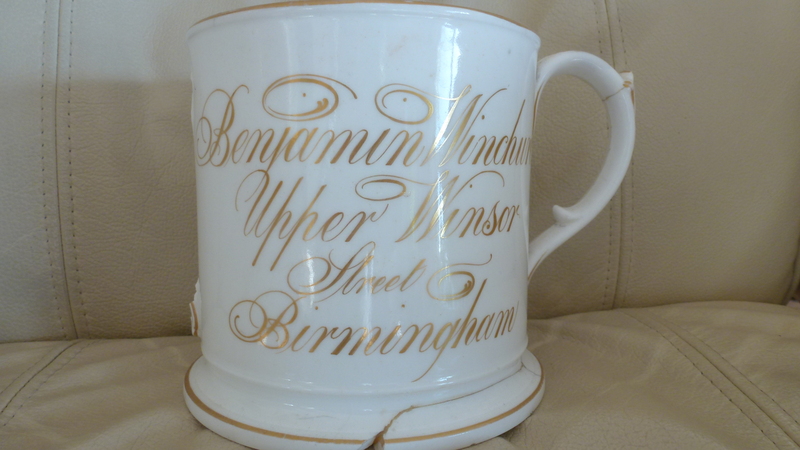 His parents were Thomas and Ann Winchurch, who for part of their lives were landlords of the Cross Keys Inn at 45, Upper Windsor Street, Aston, Birmingham. To the Worshipful the mayor the Aldermen and Members of the Town Council of the borough of Birmingham. WE, the undersigned Artizan GLASS MKERS residing in the Borough of Birmingham, having associated ourselves into a working Committee, for the purpose of founding an INDUSTRIAL MUSEUM, which it is intended shall represent the working of one of the staple Trades of this great Town, Pray your Honourable council : . I To give your countenance, both individually and collectively, to the exertions of your Memorialsts. 2. To provide a room, either in Aston Hall or in some other public building belonging to the corporation, and have therein suitable arrangements made for the reception of such articles as may be contributed. 3. To use your influence with the science and Art Department of the Government to obtain from South Kensington a special Loan of Glass Articles having skill or artistic Merit displayed in them. 4. To consider if a grant could be made by the Town towards furthering the object your Memorialists have in view, in accordance with the expressed desire of the government that Industrial Museums shall be founded in large towns. 5. The great advantages of Industrial Museums to a manufacturing population have long been admitted, and it would be superfluous for us to repeat the arguments that may be used in favour of establishing them. FIRST That the industry which your Memorialists represent would be peculiarly benefited by the establishment of such a Museum. The fact is probably within the knowledge of all the members of your honourable Council, that the ancient city of Venice fortunately possesses an Industrial Museum which, containing records of ancient Manufacturing skills has recently had a most important influence in reviving the art of Glass Making in that city. Other and similar examples might be mentioned, but we think one good illustration will be sufficient. SECOND It appears to us that the duty of founding Industrial Museums does not devolve upon any special individual, or body of individuals. Your Memorialists therefore hope that the steps they are now taking, may be followed by persons engaged in other trades, and that the countenance And assistance of your honourable body, to our proposals, may in time be the means of establishing a central Museum for Birmingham, which shall contain some records of all the industries of the town. FOURTH That though your memorialists consider that Aston Hall is not the most suitable place for an industrial Museum, yet there are many rooms in that building at present unoccupied which might be fitted up, at trifling expense, sufficient to answer every purpose for the present. At the same time your Memorialists cannot help expressing a hope that it may not be long before a great Industrial Museum may be established, centrally situated in the town of Birmingham, for (be use the whole of this manufacturing district. FIFTH That the Government officials at South Kensington having hitherto expressed their willingness to lend to the Artisans of the town of Birmingham any articles that might be considered useful as models, your Memorialists believe that if representations were made from the right quarter, there would be no difficulty in getting loans for the use of special industries. LASTLY That the government having expressed a desire to deal question of industrial Museums by conferring the power upon the corporations of large towns to raise money under the “Free libraries and Museums Act” for that purpose , your Memorialists respectfully suggest that your honourable Council might reasonably take into consideration the granting of a sum of money for establishing a central Industrial Museums for the town and district generally. When I asked my father, Francis Victor Winchurch, about the handwritten entries in our nineteenth century Winchurch family bible, I had no idea of the research that I would be setting in motion over the following fifty years or so ! At this stage, we knew that my grandfather, Percy Walter Winchurch, had been born in Aston and that he was the second youngest of Benjamin and Eliza Winchurch’s eight children. Percy had also referred to the Winchurchs as coming from the ‘Black Country’ (the industrial area centred around Dudley in north Worcestershire) and we knew that the family had kept a public house, the Cross Keys at 45 Upper Windsor Street in Aston. There was also a family history of glass making, from the 1780s, continuing through four generations to Frederick, one of Percy’s elder brothers, who was a glass blower until his retirement in the nineteen thirties. Dad set out to find more about the Winchurch family and that task expanded to occupy much of his time until his death in 1997. The birth of a Thomas Winchurch, son of Paul and Sarah Winchurch baptised at St Thomas, Dudley on 6 May 1787 fitted very well. It was a source of surprise to me that a few generations could take one back so far in history. I remembered Percy vividly up to his death in 1953, when I was ten years old. The idea that HIS grandfather was born in 1787 was a bit of a shock. When Dad moved on to find out more about Thomas and Ann, things became a little more difficult. The only marriage record that seemed to fit, was that of Thomas Winchurch and Ann Shakespeare in Tipton on 25 March 1820. The complicating factor was that they were described on the marriage certificate as ‘widower’ and ‘widow’ respectively. There was, however, a record of a marriage between Thomas Winchurch and Mary Holt in Dudley on 8 May 1808, when Thomas would have been 21. Thomas and Mary had a daughter, Sarah, who was baptised on 24 July 1808, but who subsequently died in Dudley in 1810. Another Sarah was born to them and baptised at St Thomas, Dudley on 24 March 1811 (it was common practice at this time of high infant mortality to re-use names in this way). At this point, Dad found no more records of Thomas and family in Dudley. The assumption that Mary died and widower Thomas was the one who married Ann Shakespeare (widow) in Tipton in 1820 was rather a leap of faith at the time, but has formed the basis of his and my subsequent research. Sarah WAS a family member ! 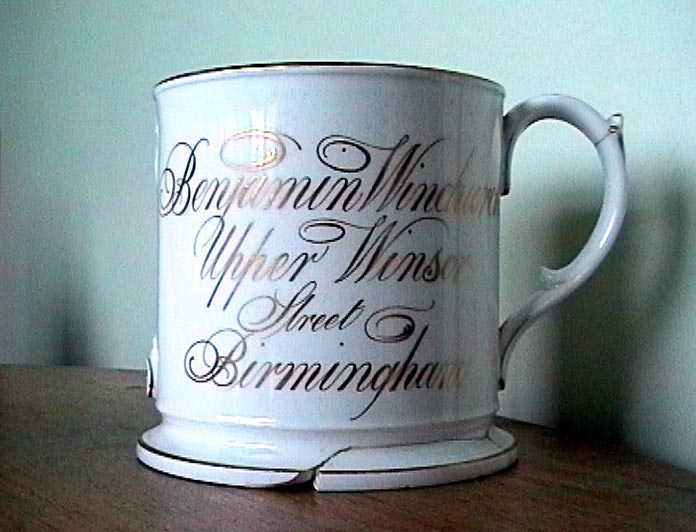 On line, I very soon found a Sarah Winchurch marrying James Littleford on 6 April 1828 at St Martin’s in Birmingham. Sarah and James had four children, Henry and John, born in the 1830s and two daughters born in the 1840s, Mary Ann and Eliza. Mary Ann was the only child to have two first names and they are the names of her mother, Mary and stepmother, Ann ! So, after all these years, it looks as though I have found confirmation of Dad’s research. I only wish he was around to share the discovery. Thomas Winchurch was born in 1787. 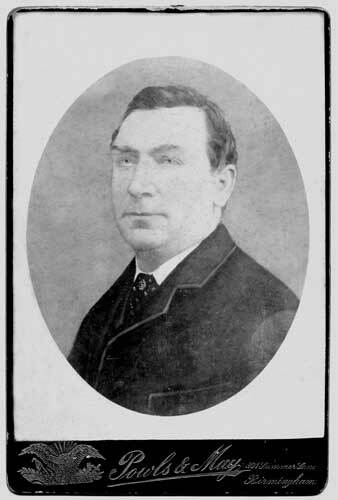 The son of Paul Winchurch and Sarah (nee Shaw). Paul was a glassmaker and his eldest son Thomas followed into the trade in Dudley. He was twenty-one when he married Mary Holt at St Thomas’s Dudley. Mary was probably about twenty and their daughter Sarah was born only two months later and baptised at St Thomas on 24 July 1808. Sadly Sarah did not reach her second birthday and was buried at St Thomas on 30 May 1810. Another Sarah was baptised in the same church on 24 March 1811 and she appears to be the only child who survived from their marriage. Her mother, Mary died in November 1812, when Sarah was only eighteen months old. In the meantime, Ann Brooks (or Brook) had been born in Dudley in 1793. The date and place are certain from census returns, but the maiden name of the Ann who married Thomas Winchurch in 1820 is less so. The only Shakespeare marriage to an Ann that fits is that of Joseph Shakespeare to Ann Brook at Clent on 24 November 1812. Ann would have been about 19 and Joseph about 26. The probable reason for the marriage of a couple from the Black Country at Clent church is interesting. Until the 19th century, Rowley church was a chapel of ease belonging to the parish of Clent. The distance between the two (some 5 miles or 9 kilometres) gave rise to much inconvenience, particularly with the growth in the population of Rowley. ( They were eventually separated by a Private Act of Parliament in 1841). 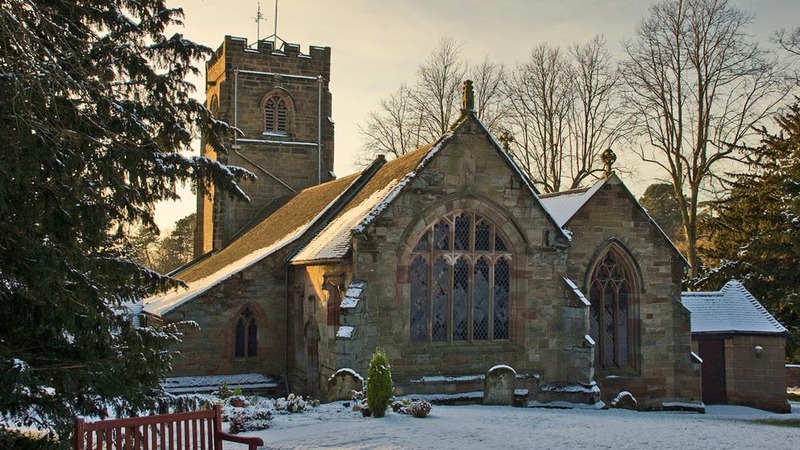 The Vicar at Clent had a habit of insisting that Rowley couples went to him at Clent for a marriage rather than him going to Rowley to perform the service. Clent was a long walk away and some people chose to “live” in Halesowen parish and get married there rather than go to Clent. On 20 June 1820 Hannah Winchurch daughter of Thomas and Ann was baptised at St Thomas Dudley. Sometime between June 1820 and December 1821, they moved to Birmingham, almost certainly making use of the growing canal network between the Black Country and Birmingham which also helped the glass making industry to move east to Aston. Although glass making in the West Midlands is mainly associated with the Stourbridge area, it was an important Birmingham industry as well. Eighteen glass works were established in Birmingham in 18th and 19th centuries, mostly alongside canals, which were ideally suited to carry the bulky fuels and raw materials required by this industry and its heavy and fragile products. So, Thomas, his wife Ann and (presumably) daughter Sarah (now ten years old) were living at Love lane where five children were born between 1821 and 1829. 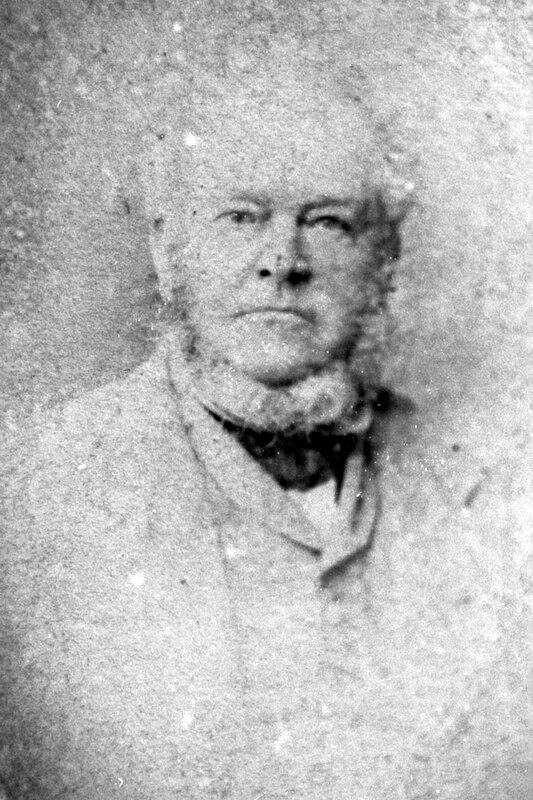 The youngest, as the family bible entry records was Benjamin, born on 3 December 1829. The year before, seventeen year old Sarah Winchurch seems to have decided it is time to leave, because she married James Littleford on 6 April 1828 at St Martins in Birmingham. In so doing she removed herself from easy access by family history researchers. This story has a sad ending. James died in 1887 and the only death record I could find that closely matched was Sarah Littleford aged 70 (our Sarah was 78) in 1889. Her death certificate reveals that she died from ‘senility and bronchitis’ in the Workhouse Western Road Birmingham on 20 August 1889. I am guessing that Sarah was incapable of remembering her age accurately.